AMBASSADORS OF THE NUBIAN KINGDOMS. WHISPERS OF THE "SUN-DIVINITIES" :- THE DIVINITY "KPA" (KHEPERA), HUMAN ORIGIN OF REPRODUCTION. THE DIVINITY "TE" (TEM), FIRST HUMAN BORN. "NU" (NAI-YE-THE DIVINITY OF THE WATERS) OCEANS & RIVERS. "HUNU" = (SUN) "THE DIVINITY LA" OF FIRE. (RA). THIS CHAPTER IS PUBLISHED FOR THE OPEN MINDED PERSON OR PERSONS, IRRELEVANT OF RACE, BELIEVE, NATIONALITY OR AGE, PURPOSELY TO RE-INSTATE ONCE MIND FROM THE SHACKLES OF MISINFORMATION AND CONVERSION OF ONCE CULTURAL BELIEVE, AUTHENTIC LANGUAGE, HISTORY AND THE PSYCHOLOGICAL DENOUNCEMENT OF ONCE HUMANITY, ACADEMICALLY OR OTHERWISE. THIS IS A CONCISE MEMOIR RELATED TO ALL CREATIONS. " PREJUDGMENT IS A SYMPTOM OF LACK OF INTELLIGENT & A LESS HUMANE PERSON IS NOT A FULL HUMAN "
The history of the Pre-Egyptians, Ancient Nubia, Nubians and the Divinity "Nu" can not completely be told to its fullest in our life time. Yet they are alive in our blood, flesh, spirit and in our minds. We can only advocate what we have inherited and witnessed about them through cultural doctrines as a legacy. 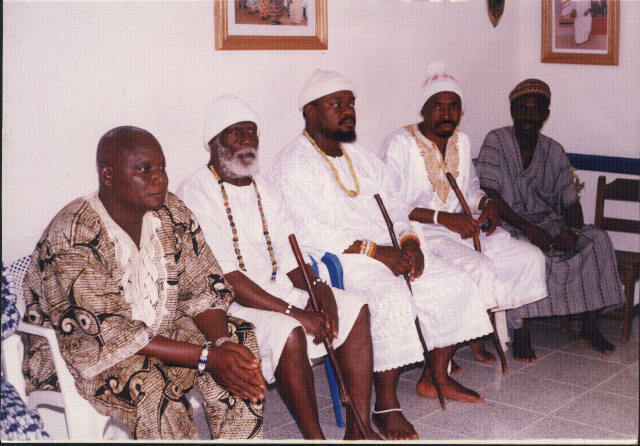 Nu, Tettey, La and Kpa: The Sunny-Diamond pre-Egyptian Ancestral Divinity names, still active with the Ga-Dangmes of the present Ghana, Nigeria, Benin and Togo :- Historically, these original divinities formed as in one "God", they are the icons of human origin and civilization philosophy of life and death universally. They are products of life and death, their names has been corrupted by foreign tongues as Nutem, Tem, Ra and Khepera. The philosophy of life and death doctrine that they introduced and practiced prior 25,000 years-BCE is still active in many forms of different versions in different religions and spiritual practices in different languages, but most of all their original names, spiritual doctrines, culture and their generations are alive with their civilization philosophy of life and death as a legacy. 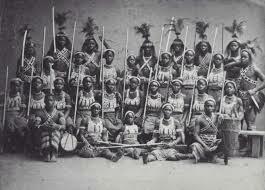 They are alive within the Ga-Dangmes of Ghana, part in Togo, Benin and Yoruba nations as the "Ambassadors of the Ancient Nubian Kingdoms". The Ga-Dangmes have maintained part of their ancestors legacy in birthrights names as : Akenten, Tutu, A-Du, O-Ku, Te, Te-le, O-Tu, Amon, Amen, A-Ba, A-Ka, A-Sa, O-Sa, O-Tuulu, Nai-ye, Osa-Bu, Afli, Ben-Tum, So-Wa, Ku-Amen ( Kwamen ), Ku-Dzo, Ku-Aku, Ku-Asi, Ku-Fi, Ku-Aba-La ( Kwa-blah ), Dze-Le, A-Bla, A-Ba, A-Ma, A-Ma-Ku, Oye, Kuku, Yoo, Awo, Momo, Naa, Ami, Asi, Asi, Afi, Afia, Kor-Klu, Tsa-We, and thousands more names. There are basic Divinity names that are in two, three or four divinity names join as one name. One can tell by those names if related to a typical ancient divinity or royal name. Some of the basic Divinity or Royal names are ; Ku, Ba, Sa, Tu, Nai, Kpa, La, Nu, Te, Du, Buu, Aku, Osa, Aba, Ala, Ate, Afu, Tu, Ada Oko, Ate, Sho-La and more. KWABLA or KWABENA "KU-ABA-LA" ( THE SUN "LA" (RA), THE HEART "BA" & THE BODY "KU" DIVINITY. 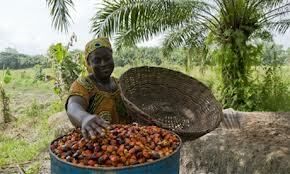 ABLA, ARABA, ABENA or ABINA ( PRINCESS & THE COUNTER PART OF THE DIVINITY "LA" (RA), "BA" & "KU". BLENDING FROM YORUBA OF NIGERIA. 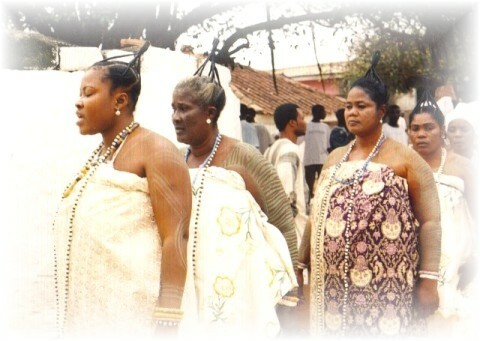 AGOIDZIGO OF TOGO & GA-DANGME OF GHANA. 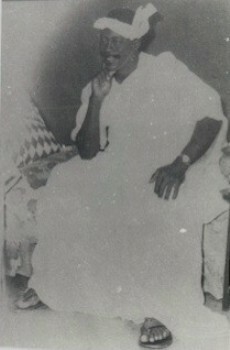 A POLITICAL- CULTURIST AND A DESCENDANT OF THE NILE DIVINITY "NAI-YE". THE DIVINITY "NII-OKWEI NYOMOTSAA" AND "TSA-ADE" OF TESHIE. GA-DANGME. GHANA. "THE CELL, THE NUCLEUS AND THE NUCLEOLUS OF ANCESTRAL PHILOSOPHY." THE OPTIMISTIC MIND OF THE ANCIENT NUBIANS :- The Nubians have lived since dawn, and as they achieved the virtue of ecstasy, they were allured by life's sacred forces, and the meaning of live became respectful and fearless to them, in this, they captured how to practice live as spiritualism. They then studied and believed that the human being body is a visible spiritual energy, with different characteristics of different body quality functioning, which is part of the one and the only energy supplier of all living and non-living things: The "Sun". To the Nubians, the Supreme Divine Creator of the Universe whom we can not look at its face with our naked eyes, works through the Sun, produces life and preserves life. They then practiced this believe as part Spiritualism and they used the Sun as the symbol of the Supreme Divine Creator of the Universe. The Spiritual communication relationship between the Ancient Nubians and life in general include death was established, for the sacred life forces of their Ancestral Nubians. 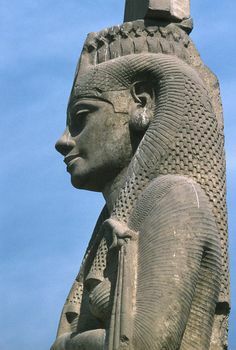 To the Nubians, "A peaceful and acceptable death is a blessing to immortality", in this believe a sacred shrine Tombs for Kings, Queens and Holy persons were built, to witness and to satisfy the cause. The Ancient Nubians built these sacred shrines for sacred communications, for their Ancestral Spirits and other related nature spiritual forces, which they cherished and protected to serve their purpose. They then originated the only sacred covenants for all mankind, some were carved and preserved by the same originators; the Nubians. These covenant testimonies were carved in their shrine tombs, and they distinctively arranged them sequentially at their proper locations on the walls and on the land now known by the Greek word "Egypt"; which is the Greek description to the color of the Nubian skin, meaning; "Black", instead of the proper description as "Nubians". Those sacred carvings inside the pyramid style, cone style or step style shrine-tomb walls, poses as life testimonies, which maintains it spiritual covenants powers. The shrine-tombs mysterious and majestic standings on their only sacred lands chosen by their believers, are filled with sacrificed immortal ancient live breath of air, and hardened mortar mixed with their blood, tears and spiritual silent voices. After the fall of the waters above the firmament's massive flood, which result to what is now a desert areas, with buried nations of human beings, live stock and agricultural farms. This catastrophic water fall re-organized and shaped the land, and disposition the Earth's original equator location to latitude north approximately 23.5 degree. 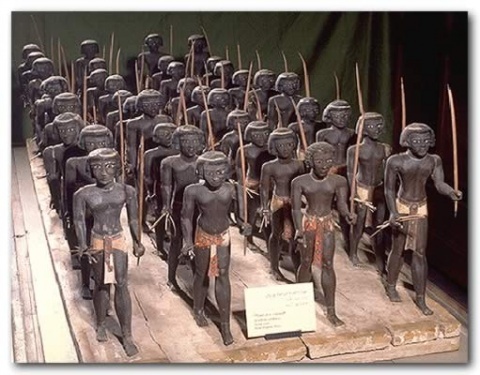 Though most of the Ancient Nubians lost their lives, some of them who were at large in some areas were not destructed, but dislodge by the flood. Some migrated to the eastern areas now India territories and Africa-Indian route territories, some ended to vast places on the Continent now called Africa and some to Islands created by both the quake and the flood. 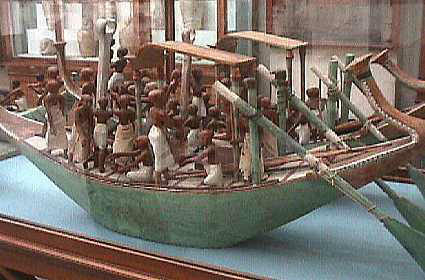 "KPA-TE ( KPANTE ) KOKRO-KPA-NTE"
PRE-EGYPTIAN CANOES OF THE NUBIANS. 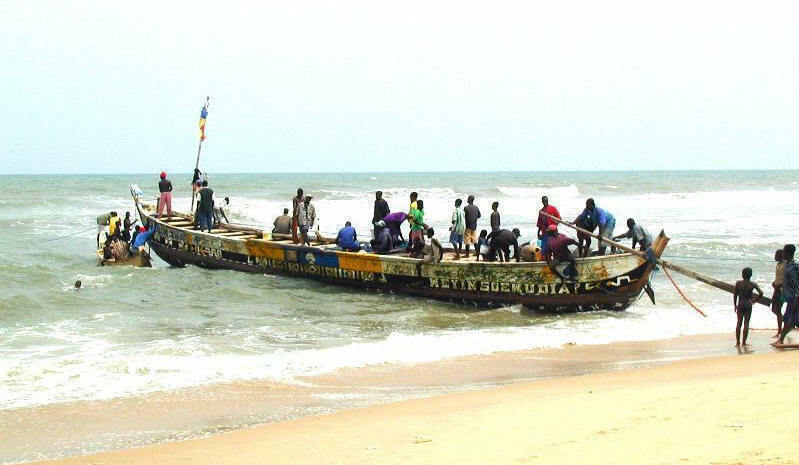 DEEP SEA FISHING CANOE, TOGO - GHANA. DEEP SEA FISHING CANOE, GA-DANGME. GHANA. NOTE: Before the flood, there were civilizations with the Nubians, they knew about many things, include ship and boat building. During and after the flood, any floating ship or boat with people on board will be heading to places unknown to them. It will be a traveling to survive only, however, when the waters were in motion of receding, many Nubians died, due to some of the waters receding force that ended them into the ocean and into the river-water falls. After the waters had dried, some of the Nubians found themselves in strange areas unknown to them, and most settled in those locations. Courageously and as a legacy, most of the Nubians went back to their ruin and buried nations areas and built new nations and dynasties, but not greater than the dynasties before the earth quake and the fall of the waters above the firmament. As of today, those great dynastical nations are still buried under the deserts of north Africa and under the deserts of the now Middle East territories. 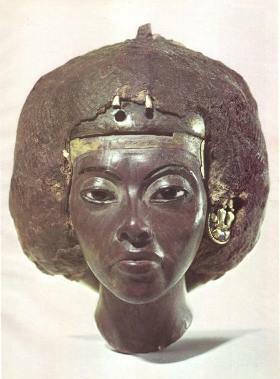 Strangely to the Nubians, they were seeing other human species after the flood who looked different from them. Most of these different human species can only be found at the cold areas on the mountains. The Nubians believed those different human species may have fallen with the waters above the firmament, which flooded the earth, severely on the Nubian Plains ; North East Africa and the areas now the Middle East. The Nubians also believed that those different humans were once living on the icy small planets, which was very close to the earth, known as the "water icy planet" or the "waters above the firmament". They believed water planet melted unto the earth, due to the hot temperature which arose from the global massive volcanic eruption's heat from the earth. 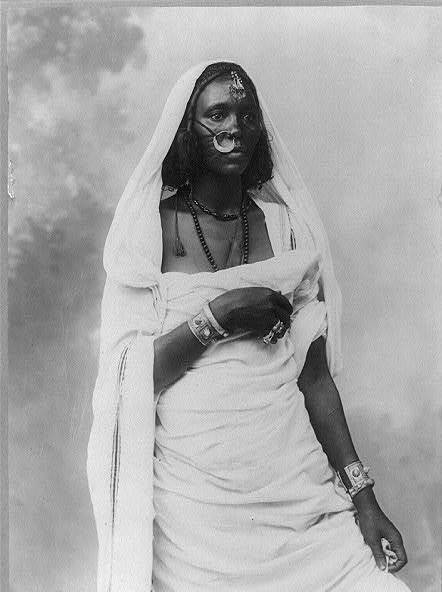 As the Nubians witnessed and studied the different human species on their cold mountains for years, they then identified and described them in their authentic native Nubian language as ; blofo , ablofo or bafo, etc. ( the closest meaning for English understanding will be; Albino.) This description is still being used within the majority languages of the Nubians in west-Africa areas. The indigenous Ancient Nubians believed that the "blofo, bafo or ablofo" human is a deficient human being, due to their "albino" weak sun resistance through their skin, which deteriorates when on the sun. The Nubians took this sun-kin deteriorations seriously, because their Sun-Divinity "La" (Ra) should not reject any human being, and that their Sun -Divinity is not known to deteriorate human being skin. Due to these reasons, the Ancient Nubians forbids any "blofo or ablofo" to any of their sacred grounds. The Nubians believed their spiritual environment and their spiritual legacy will be contaminated, and that the "blofo " (Albino) skin is not burnt-properly or covered completely. The Nubians again believed their "Sun-Divinity" does not deprives any human being and "La" (Ra) to deprived the "blofo" (albino) human through his skin into his blood became a concern to the Nubians. 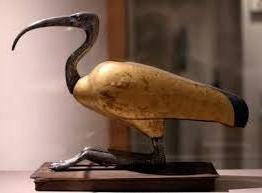 This brought poor or no relationship between the Ancient Nubians and the "blofo" (albino) of the mountains. 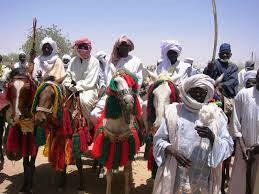 Hundred of years after, the relationship between the Nubians and the "blofo" (albino) worsen. 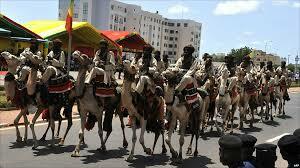 Tension arose between them due to their rejection from the site of the Nubians. Within this matters, racism was born, war and death became married couples, colonization claimed royal throne without roots, the oppressor became a permanent nightmare to the oppressed and peace became a weapon against peace. This poor relationship brought hatred, whereby war was waged against the Ancient Nubians, from Alexandra and from the Hyksos and any other nation that had hatred mind against the Ancient Nubian Empires. The historical hate crime of Alexandra and the Hyksos etc. imposed upon the Ancient Nubians, later influenced the Europeans into enslavement activities on the Nubian nations now called Africa. The crime activities continued to the Europeans colonization of the Nubian nations (African-nations), this escalates to the enslavements of the Nubian and the Exodus gate was open to relocation. (A SPIRITUAL ORAL HISTORY AT LARGE). TO BE CONTINUE. BY NII NAI-TETE. 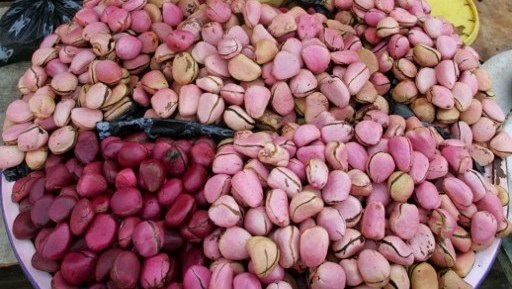 KOLA NUT ON THE LEFT, PALM NUT ON THE RIGHT. BELOW: AN ANCIENT SPIRITUAL SEQUENTIAL BY BIRTH NAMES FROM GA-DANGMES, GHANA. TETTEY or Optional Nubian 1st Name . 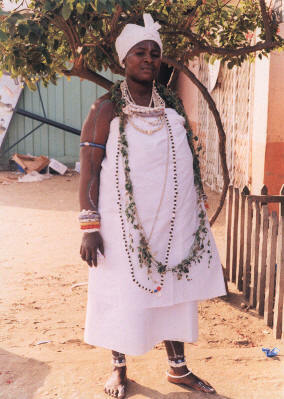 "TEM", "TEMERU"
TETTEH or Optional Nubian 2nd Name . 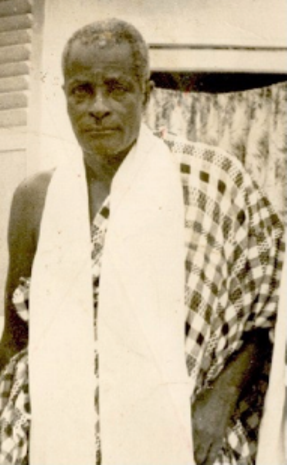 "TETI"
MENSAH or OSA . 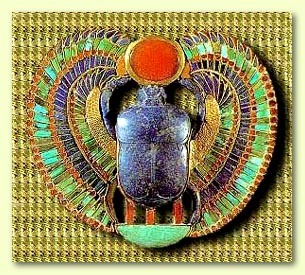 "OSIRIS"
BADU ( CROWN OF THE HEART ) THE DIVINITY "BA" AND "DU"
AKIKRAFOI-SHWEY-BII-WUO-BII other spiritual name: " OKPLE-DZA-BOSUM "